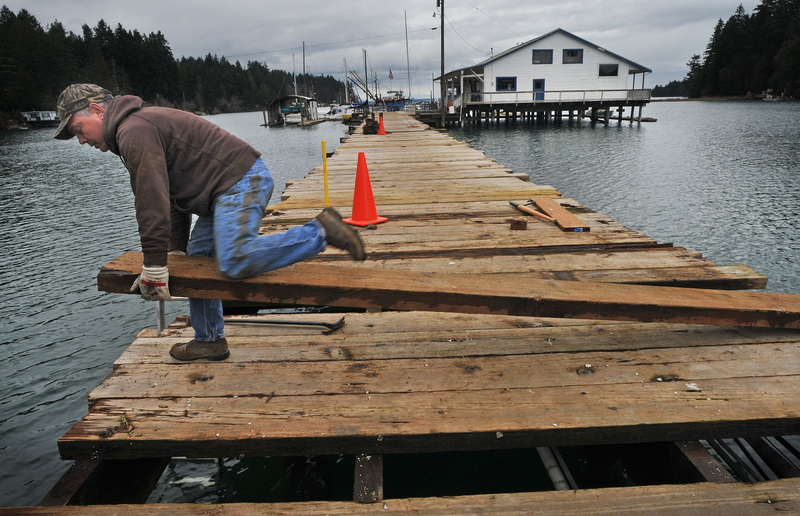 Work continues feverishly on the Lakebay (Wash.) Marina pier to meet a Memorial Day weekend deadline. Leonard Spadoni, 49, of Gig Harbor, a childhood friend of owner Mark Scott and a contractor, wrestles a plank into place. Mark Scott’s memories of the Lakebay (Wash.) Marina on Lorenz Road date back to his days as a teenager growing up on the Key Peninsula. He and his two brothers would take a small boat with an outboard motor from their house on Wolochet Bay and cruise down to the marina to eat burgers and buy candy. Today, he is trying to rebuild that childhood memory one plank and permit at a time. 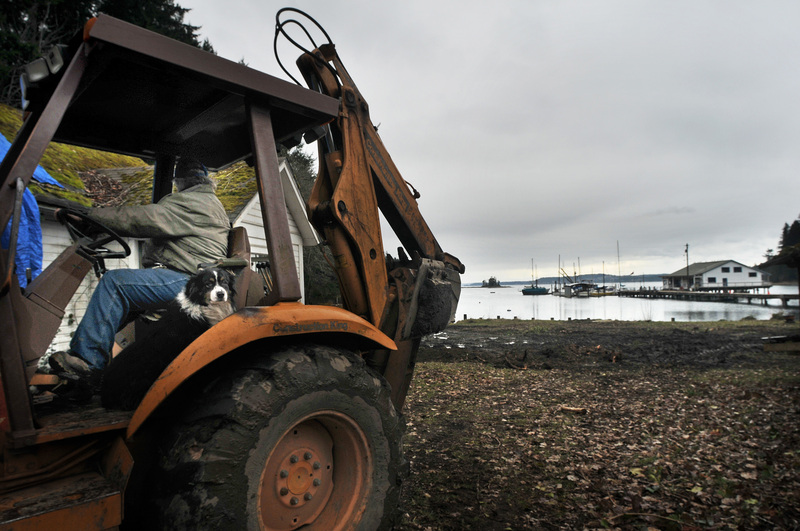 His dream will bring back to life a piece of Key Peninsula history while making the only public marina south of the Purdy sand spit more accessible. He is hoping to meet a self-imposed deadline of Memorial Day weekend for the grand opening — just in time for boating season. 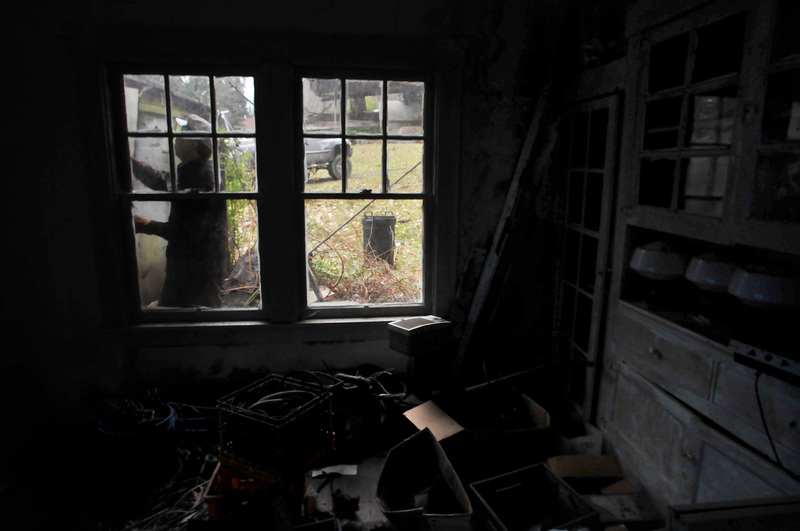 Mark Scott, 50, of Bainbridge Island, is fulfilling a dream to rebuild a relic of his childhood on the Key Peninsula. He and his wife Cindy bought the Lakebay (Wash.) Marina in October last year to rebuild and restore. Although the marina which has 30 permanent slips and a handful of guest slips remained open after the cafe closed several years ago, the facilities at the marina have gone mostly untended and are in poor condition. The store is still open selling fuel, but do not have regular hours. Scott and his wife, Cindy, decided to buy the three parcels the marina sits on along Lorenz Road last October as a business venture. But for him it was a whole lot more personal. He was rebuilding a place he used to enjoy as a boy. Scott, who graduated from Peninsula High School in 1979, did not waste any time getting to work. Tractors can be seen this week hauling rotted wood and garbage from half a dozen buildings on the property. Leonard Spadoni, of Gig harbor, a childhood friend and contractor, was busy laying planks on the main pier as tracks so he could drive his pickup truck to the marina store. Neighbor Dave Johnson helps out by driving a tractor hauling rotted wood and garbage . Rails along the main pier need to be built. The kitchen at the store needs to be refurbished and cleaned up to pass a health inspection. A boat launch needs repair and expansion. Parking spaces need to be created. A house on the property built in the 1920s is getting a major facelift. There is so much more to be done yet you can see Scott’s eyes light up with excitement as he talks about what he is doing. He is not alone. Judy Mills, 69, president of the Key Peninsula Historical Society, is tickled the marina is making a comeback. She says she knows plenty about the marina. She and her husband, Don, used to go there before and after they were married in 1962. But the draw, he says, is the location of the marina — a stone’s-throw away from Penrose Point State Park. 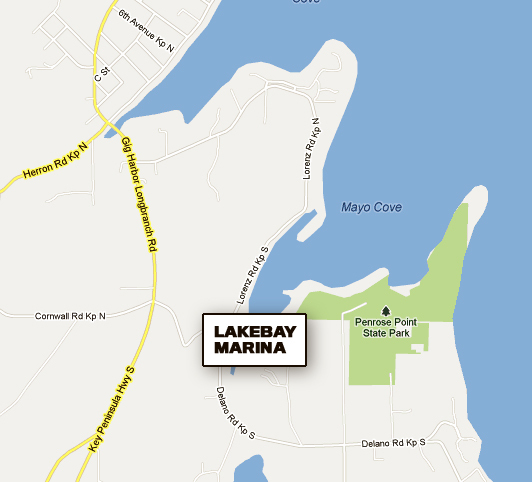 The 1.74-acre property sits across Mayo Cove from the state park, a 45-minute drive from Tacoma. The slips at the Lakebay Marina with the boat launch at Penrose Point State Park in the background. Beside the obvious natural beauty of its surroundings, the marina boasts a colorful past. It began as a farmer’s co-op and a way for farmers to get their crops to town, says Mills, long before it was ever a marina. In 1875, an entrepreneurial logger named Carl Lorenz built boats in Lakebay to carry his finished lumber to town. He later used these boats to ferry farmers and their goods to town. His boats was part of what became known as the Mosquito Fleet. 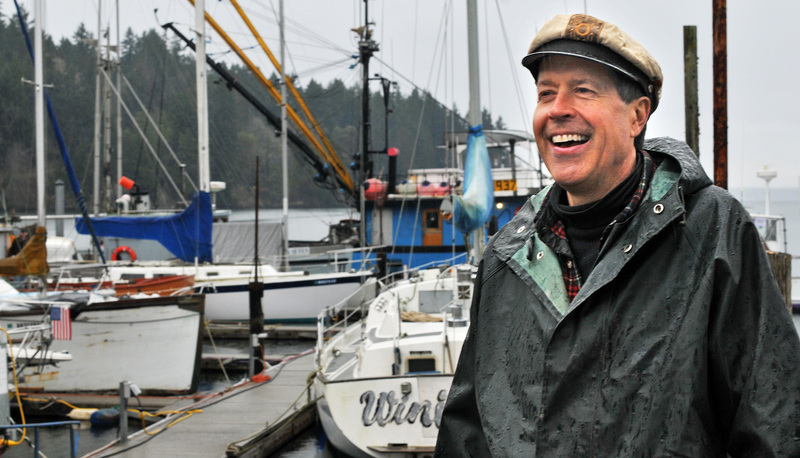 The marina’s dock master Kerry Jamison is enthusiastic about the prospect of improving a marina with roots firmly anchored in local lore. 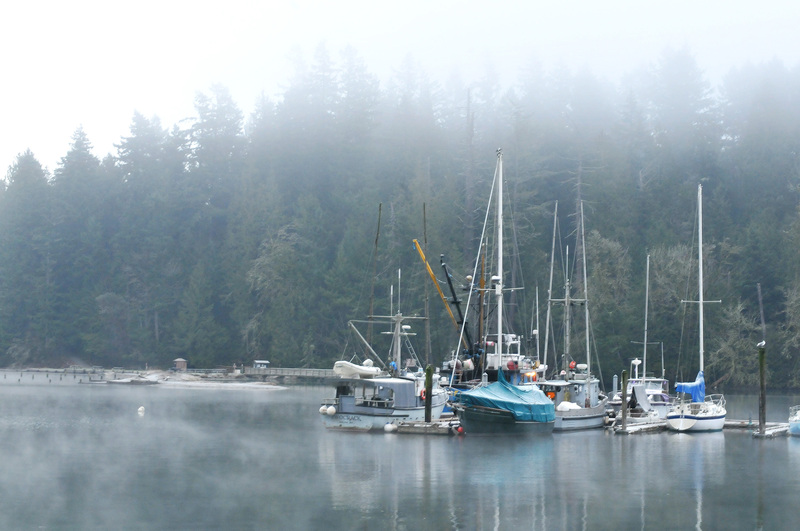 “This was one of the last marinas on the Key Peninsula to serve the Mosquito Fleet,” Jamison said. News of the construction to improve the marina, especially the reopening of the cafe, has been met with enthusiastic anticipation. Mills says she is also excited about what Scott is doing at the marina. She points out that the Key Peninsula Historical Society has already scheduled a picnic on the grounds of the marina in the fall. “And we only do four of these things a year,” she adds. Scott, who bought the Lakebay (Wash.) Marina in October 2012, cleans up around the parsonage house. He plans to restore the 1920s-era house and rent it out to guests.